Lamp hours are both at 45. Total Projector Hours = 3,069. In great overall condition! Tested and is fully functional. Runco LightStyle LS-7 3 Chip DLP HD Projector. This looks great with no major wear on the casing (actual photos). The lamp has 950 hours on it. Up for sale: Digital Projection TITAN 1080p-700 projector. There is no lens included. Great for professional installations, large venue theaters, conference presentations, and so much more. Long throw zoom lens 2.6-4.1:1. Digital Projection TITAN sx+ 700 3 Chip DLP HD Theater Projector - 11000 Lumens! 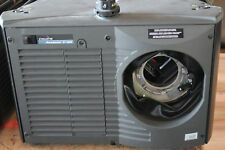 Up for sale: Digital Projection TITAN sx 700 projector. There is no lens included. Great for professional installations, large venue theaters, conference presentations, and so much more. Long throw zoom lens 2.8-4.5:1. Lot of 2 Christie Roadster S+16K 1400x1050 HD 3-Chip DLP Projector 16000 Lumens! These projector are great for professional installations, large venue theaters, conference presentations, and so much more. No lens or power cord are included. Christie WX10K-M Projector. Display Type: 0.9" DLP. Projector Size: 10.2" x 19.7" x 22.1". Digital Keystone: Horizontal & Vertical. Native Aspect Ratio: 16.9 (WXGA). Lamp Quantity: 2. Lamp life: 1,500 hours/2,000 hours. For sale, one used Panasonic PT-DW1000U DLP Projector. This projector is a 3 chip DLP model with 1920x1080 Full HD 1080p resolution. Contrast Ratio: 5000:1 Display Technology: 3-Chip DLP. This Sale Includes: The Projector, remote and power cord. It has a white sticker on the inside of the lens that has the following: RUOP-002500 1.80-2.35. I prefer local pickup because of the weight/size of this projector. If you are local and have an interest in this projector let's make a deal. 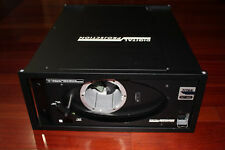 Digital Projection Titan HD-500 Large Venue Projector 3DLP Chip - Local Pickup! 3DLP is superior to the now common 1DLP models. 3DLP requires no color wheel, so they are brighter, and the colors are more accurate than 1DLP. 3DLP are being phased out, because they cost a lot more to produce than the 1DLP. Projector Size Lens DP 001-739 Zoom 2.40:1-3.60:1. Display Type Video Modes Lamp Type 1,500 hours. Lamp Life Data Modes. For the videophile who accepts nothing but the best, Marantz is proud to introduce the VP-10S1. For the discriminating audience, the Marantz VP-10S1 doesn’t just raise the bar in video reproduction. Creating visually compelling displays is paramount to your success. You’ll see we’ve upgraded our existing Xenon 3-chip DLP® platform with the features and functionality that you rely on to share, collaborate and create. Never toured, only used for corporate event rentals. This item is being sold as surplus to our current needs. With native 2048 x 1080 HD resolution and 10-bit image processing, images are simply stunning in their size, brilliance and quality. We have experienced Projector Technicians on staff and we have been in the industry for over 5 years. INCLUDED ACCESSORIES: Power cable only. No Remote and No Lens. FUNCTIONALITY: 100% Functional, Works Like new! CHRISTIE HD10K-M HD10KM 3-CHIP 1080P DLP PROJECTOR, 10,000 LUMENS, 689 HOURS!! This is not a typo! These are work horses and typically have thousands of hours on them so this is a baby! We have experienced Projector Technicians on staff and we have been in the industry for over 5 years. Panasonic PT DZ21K. native 16:10 WUXGA resolution . WUXGA 1920 x 1200 resolution. the smallest and lightest 3-chip DLP projectors with this brightness in the world. 3-chip DLP technology with 3x 0.96 "chip. DIGITAL PROJECTION TITAN 1080P-700,10000 LUMENS, 3-CHIP DLP PROJECTOR,LOW HOURS! We have experienced Projector Technicians on staff and we have been in the industry for over 5 years. INCLUDED ACCESSORIES: Power cable only. (The picture is of the actual unit). unit#1 - only has 2,567 total hours and the lamp assembly has been used for (lamp# 1=814, lamp#2=863 hours). This unit powers on. Projector lamp is included, condition is unknown. Remote not included. • (1) - PROJECTOR LAMP (CONDITION UNKNOWN). • (1) - POWER CORD. We have experienced Projector Technicians on staff and we have been in the industry for over 5 years. SPECIAL NOTES:Well maintained projector in a very clean conference room. NO LENS INSTALLED. FUNCTIONALITY: 100% functional, works like new! Panasonic PT-DW8300 PT-DW8300U WXGA HD 3-CHIP DLP PROJECTOR, 9600 LUMENS! We have experienced Projector Technicians on staff and we have been in the industry for over 5 years. #1 has 6,065 projector hours. #2 has 7,758 projector hours. #3 has 7,097 projector hours. INCLUDED ACCESSORIES: power cable only. These features make this projector great for large venue applications. Panasonic PT-DZ21K2U 3D WUXGA Large Venue 3-Chip DLP Projector (No Lens) B&H # PAPTDZ21K2U MFR # PT-DZ21K2U. Native Chip Resolution 1920 x 1200 (WUXGA). Christie WU12K-M WU12KM 3-CHIP DLP Projector, M-series 11,500 LUMENS, LOW HOURS! We have experienced Projector Technicians on staff and we have been in the industry for over 5 years. FUNCTIONALITY: 100% functional, works great! Marantz VP-12S4 3 Chip DLP HDTV Projector. The lamp life on the bulb is greater than 50%. BARCO RLM R5 PERFORMER 3-CHIP DLP PROJECTOR, 4000 LUMENS, LOW HOURS! !